Today marks the beginning of the second week of 2016, and as tempting as it is to barrel through the year with intensity, we’re stopping for a minute to review the year that was. What were our readers most excited about in 2015? The social phenomenon that was once merely an outlet for cute quotes, hilarious videos, and passive aggressive social commentary is now a phone book, newspaper, and customer review source all rolled into one. When you find yourself in a conundrum, where do you turn? Most likely Google or another similar search engine. Companies with a healthy social media presence rank higher on searches, making you more likely to click. After perusing the website of a possible contender, where do you head next? Let’s just say there’s a reason those handy social media icons are floating in plain site on business webpages. It’s the easiest way to find out what others are saying. You can read reviews, see how the business interacts with their audience, and get the overall feel for their culture and business practices. Within a few seconds of perusing the social media feed, you know whether or not you intend to do business with this particular company. You’ve made your purchasing decision, but what next? Chances are, you will follow them on that particular platform so you can remember to return when you’re ready to purchase product and stay updated on new services and specials. Possibly the greatest phenomenon of following a particular business on social media is that you become an instant promoter for the brand. Whether you randomly show up as someone who “likes” that business or you actively share related content, you have multiplied their marketing efforts–organically. 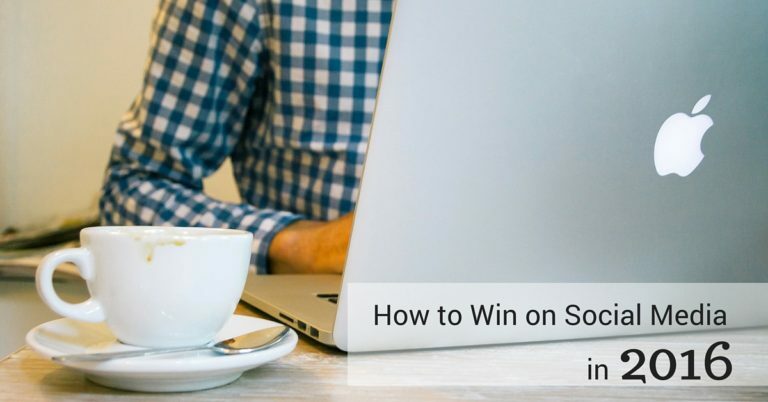 If you win on social, you win everywhere else. To refresh your memory—or to catch you up on any posts you may have missed—here is a round-up of our most helpful social media posts of 2015. As you read, jot down some tips, and get ready to tackle that social media tiger in 2016.